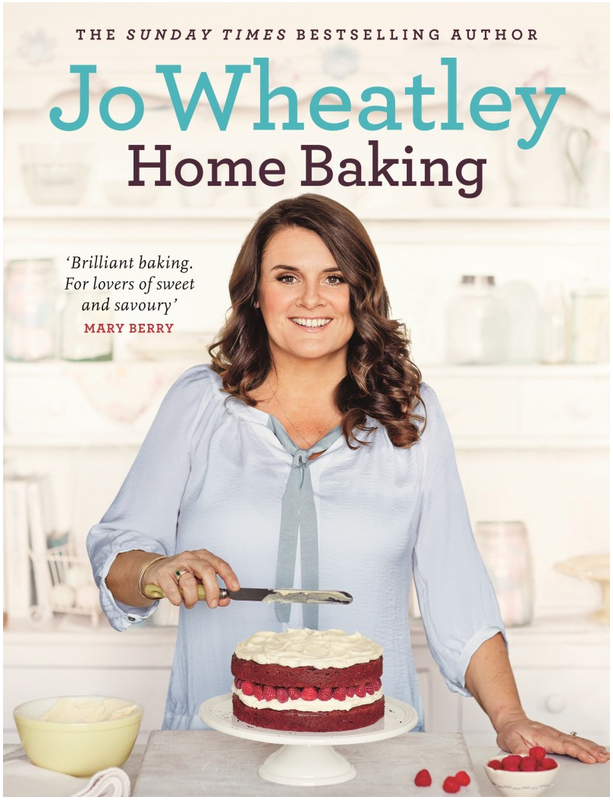 I've loved Jo ever since she first graced our screens on the Great British Bake Off. She's a humble home baker who writes about the food she makes for her family and friends. Her first book, A Passion for Baking is packed full of tasty bakes that anyone could have a bash at. This week I received a copy of her new book, Home Baking. Just when I thought it couldn't get any better... There are bundts in there! This book is another absolute corker. My mouth was genuinely watering whilst flicking through! It contains the type of recipes that you want to have a bash at on a drizzly Sunday afternoon. Proper comfort food. My first reaction was to ask Jo whether I could move in with her. I'd also need a good surgeon as there is no way my metabolism could tolerate such gluttony. I think part of the appeal is the styling of the photography that accompanies the recipes. Everything looks hearty and home made. There's nothing more daunting than perfect pastry and evenly browned biscuits. Granted, we all want them to look like that but I'm put off recipes where things are too perfect. They scream 'test kitchen', not my kitchen. Some of my favourite recipes from the book include the ground cinnamon buns, cheesy tear and share bread (above), Christmas cake (in a holiday bundt tin!) and the Portuguese tarts. I adore reading Jo's work and listening to her talking about her baking. She's such a lovely lady. You can just tell that this is a labour of love because it's what she's done for years. She's making cakes for her grand children that come from her own nan's recipes. She even has a section called Baking with Children to encourage readers to show their own families how to bake. My grandma taught me so I fully understand the desire to pass it on. This is another beautiful book full of little gems from the lady who won our hearts by being a normal mum who bakes for her family. Here's to book number three. Home Baking is available exclusively to Sainsburys. Hardback, £16.99 but is currently on offer at Sainsbury's for £8!